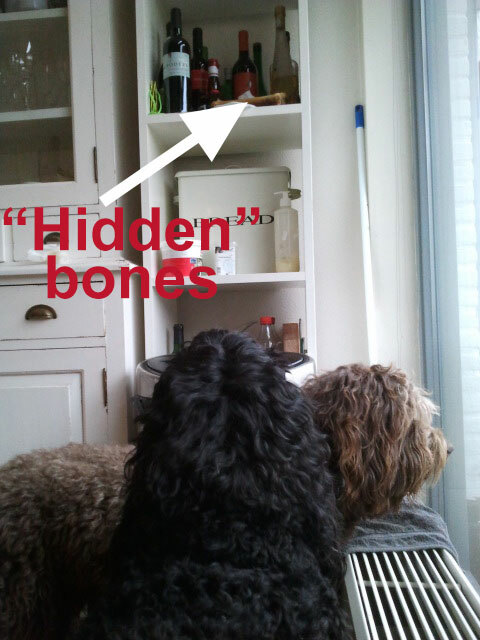 While Yatzie is hypnotizing the bones I thought I hid from her high up on a shelf hoping she can make them fly down to her, Moët is looking outside hoping that we soon will go for a nice walk again. These two barbets have totally different priorities at the moment! PS: Of course Yatzie got her bone and Moët her walk too!